Privately set atop a wooded Bethesda neighborhood, Brookes Ridge offers a new way to live in the Washington, DC area. Thoughtful design, sophisticated architecture and modern amenities merge to create a boutique community unlike any other. Learn more about Brookes Ridge here. Truly a sight to behold. The views from Brookes Ridge are unparalleled. The homes enjoy protected views in a natural setting atop the trees. 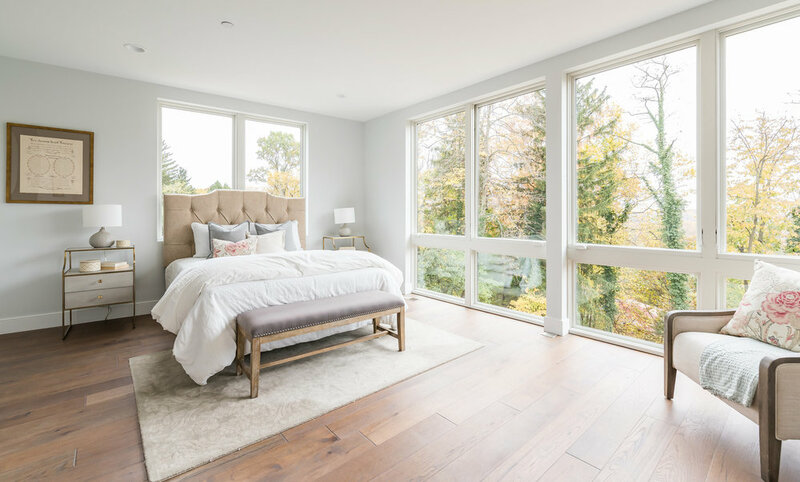 Brookes Ridge was crafted with immense thoughtfulness and designed to maximize natural light. See more of Brookes Ridge in our photography gallery here. A space to call home. Brookes Ridge offers a maintenance free lifestyle without compromising space. These brilliantly crafted homes were designed with functionality in mind. Each home features four bedrooms, four and a half baths and expansive living areas. In addition to approximately 4,000 square feet of living space, each home has a two car garage, a private elevator and substantial outdoor spaces including a private roof deck. Learn more about the features at Brookes Ridge here. A stone's throw from it all. Brookes Ridge is a peaceful retreat located in a walkable setting. Steps from shops, cafes, restaurants and a grocery store, the community is also located near an entrance to the Capital Crescent Trail and C&O Canal. The homes are a short drive from the shops and restaurants of Bethesda Row and Georgetown, the Kennedy Center and downtown Washington, DC. Learn more about the neighborhood here.